One thing I’ve learned about raising active children is that the love of moving needs to be taught and encouraged, exactly the same way we teach and encourage our children to love to read. The second thing I’ve learned is that there isn’t just one way to do this. If you are someone who already loves moving and are very active, then a lot of the following is going to be second nature for you. Even so there might be a surprise or two. 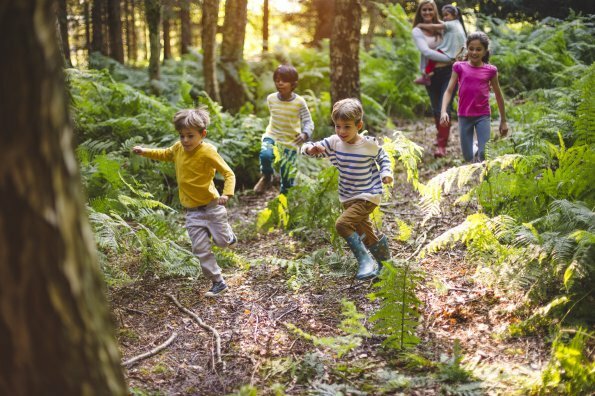 But if you want your child to lead an active and healthy life and aren’t sure how to get them on the right path, then these 10 can’t-fail ways to encourage them are for you. 1. Help your child move early. It’s never too late to start but it’s also never too early. With infant massage and exercises you can make moving a natural part of your child’s day right from the beginning. 2. Build physical activity into your family’s daily routine. Ideally, every night after dinner your family should get up and do some form of physical activity together. It could be taking a walk, playing catch, or riding bikes. It really doesn’t matter what you do as long as you are moving together. If this doesn’t work with your lifestyle, see if you can find another time of day to be active together. Try starting with 15 minutes every day. 3. Show your kids how you are physically active in your own life. What’s your physical outlet? Do you run, practice yoga, play tennis, walk the dog, or workout at the gym? Being an active role model for your kids is one of the best things you can do to encourage them to be active. If you aren’t very active, it’s never too late for you to start, either. 4. Choose to walk or bike instead of drive. Whenever possible get kids moving instead of sitting in a car. If there is a safe route, have them walk or bike to school on a daily basis (if they’re too young to go on their own walk or bike with them). This is a great habit to get into at an early age. Don’t forget to leave lots of time to get where you are going so you don’t have to rush. 5. 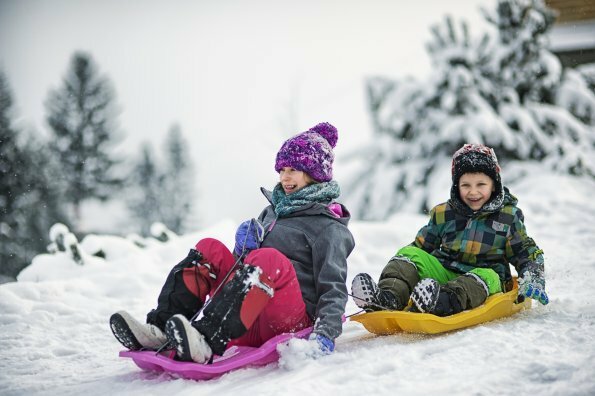 Expose your kids to a wide variety of activities and sports. Kids who specialize early in a specific sport can get burned out and injured. It’s important to let them try lots of different things so that they can develop a wide range of skills and find out what they enjoy. With a few exceptions, most sports do not require specialization until kids are in their early teens. 6. Praise but don’t push. Notice when your child is enjoying an activity and cheer them on. Always keep things positive from the sidelines so they understand that you value what they are doing but that you aren’t so invested in it that they feel pressure. Most kids aren’t ready for competition until they are ten and up. 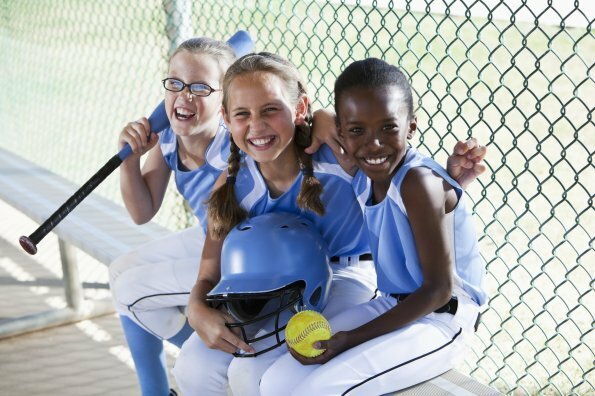 For kids under ten, fun activities and non-competitive games keep things stress-free and allow them to have success no matter what their skill level. It used to be that going outside was the default move for any bored child. And going outside almost guarantees some form of physical activity. These days there are a lot of distractions that can keep kids inside and occupied for hours. It’s up to us as parents to create lots of opportunities for them to play outside. 9. Choose a childcare centre or preschool that incorporates physical activity. Parents should look for a childcare centre that dedicates time to encouraging age-appropriate movement every day. Little kids need lots of opportunities to move and develop basic skills like running, jumping, hopping, skipping, etc. Structured and unstructured play are both essential in helping them to develop these skills. 10. Put pressure on your children’s schools. 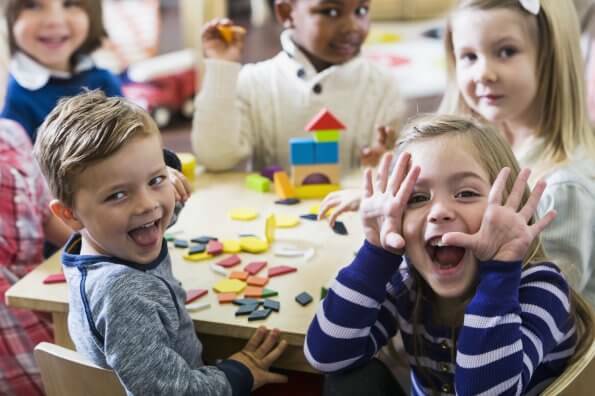 Schools need to do their part to ensure kids in kindergarten and up are getting both quantity and quality physical activity and education. Every school should have a PE specialist who knows how to engage children of all skill levels and abilities and can help them develop their love of moving. Imagine if schools only spent an hour a week teaching kids to read, and parents were solely responsible for developing their children’s reading literacy at home. When it comes to reading, schools do their part and parents reinforce it at home. The same holds true for children’s physical literacy. You can start by speaking to your child’s teacher, principal, or parent council. The most important thing to remember is that you can’t do this wrong. Just move with your family every day and if that’s all you can do at the beginning then you are still well on your way. The most important thing to remember is you can’t do this wrong. I’m disappointed physical education with the phys ed teacher happens only 1x week for my grade 2 the rest of the daily physical activity is done by the classroom teacher in the classroom, on the school yard or in a physical activity classroom that used to be a great music room. What is mandated for physical activity by our goverment? I like your suggestions. I loved physical activity and try to model this for my children. If I leave the bosu and some balance toys around the basement playroom the kids come up with great games! I was a bit put pff by the child on the scooter in the photo part of your piece not wearing a helmet. Protect the head! Alanna, sorry you were put off by the image. We absolutely agree that children should wear protective gear and it is a priority for us to choose images that depict the proper use of safety gear and equipment. But for a variety of reasons, it isn’t always possible to fulfill this requirement and we do sometimes have to compromise. Every province is responsible for its educational plan, including physical activity. Manitoba has one of the best and most comprehensive requirements for physical activity in schools. Talk to your teachers, your school administrators, and your provincial representatives to advocate for a greater presence for physical literacy in schools. We’ve got resources that all of them can use to help kids learn to move well. Thank you for your helpful tips. We, as parents and fitness professionals, need to make sure our children develop healthy lifestyle habits so they can lead long and disease-free lives. We welcome all kids to our community centre to get active! I did get going jogging indoors and worked my way up eventually – slowly – to a decent distance (for me). My personal circumstances changed so I couldn’t continue but thank you for the encouragement. Maybe one day I can start again. Or maybe you’ll find something you like even more! I’ve come to realize that different activities suit me at different times for different reasons. And I just like to change things up anyway so I don’t get bored. Wishing you all the best, Alison. I love that you are still running. A true role model for your kids and us fellow exercise challenged adults. Thanks Alison! I’ve actually found other ways to keep active that work better for me these days. How’s your jogging going? Did you find shoes you like?